Masss / Maasu / Massu – Who care about the movie title when it is marketed to the top with the title ‘Masss’. So let us call this as ‘Mass’ itself. Venkatprabh and Suriya is together for a fantasy mass action movie. Expectation was high which was created through wide marketing. How is the movie? Is this movie delivered what it required to? Answer is – it delivers what is expected, a good entertainer. Venkatprabhu is back in track. 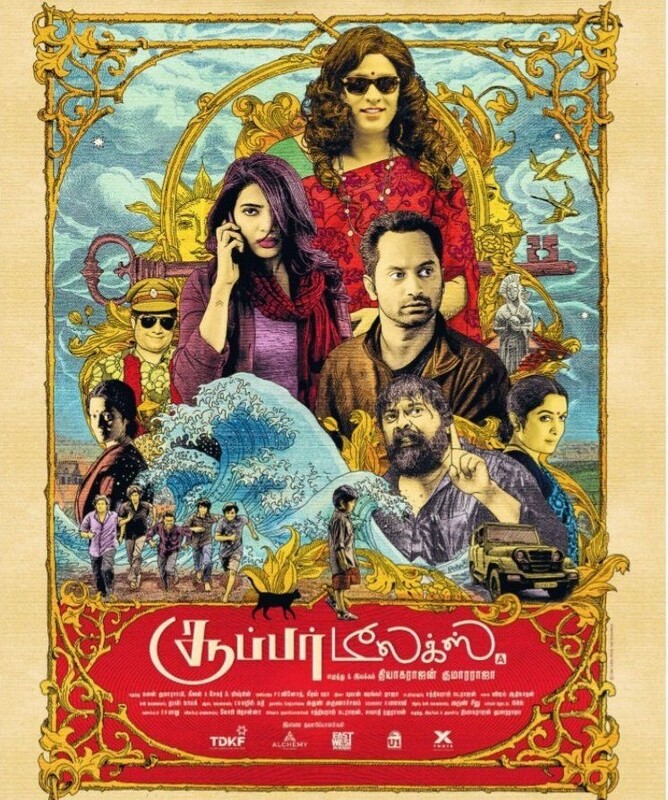 If you go into this movie hoping to see ‘Nandha’ and ‘Pithamagan’ kinda performances or a ‘Vaaranam Aayiram’ that moves you emotionally, then you’re going to the wrong movie. However, if you’re looking for a lot of fun then this is for you. This is a full packed entertainer. Yes, the maker has mixed everything from comedy, mass scenes, style, songs, action, sentiments, heroines, chase and references to Vijay and Ajith movies – all to entertain you. Story? who cares when you have many other things in the movie to care about! There is a oneline plot in this movie which hard to input here as it reveals something from the movie. So enjoy the movie at theaters with no clue about the story. The acting sometimes falls a bit flat so is the CGI, but is ignorable for a mass masala film because we are used to it. Suriya holds the movie and keeps it safe. He looks stylish and mass. does what he does best and it shows. It’s funny to see that a star who was in a lot of blockbusters decided to go for the ghost trick. It worked well. Not anything different but his performance and screen presence makes it work. Nayanthara is as expected beautiful and lovable. At times, she will take your breath away. Samuthrakani, Parthipan, Premji, Pranitha everybody does their role well. It was good to see so many actors in a movie, it really gives a good feel. Yuvan Shankar Raja’s background score is exceptionally good, it helps the movie a lot in many scenes. His blend of Gothic and western themes along with some mass pieces fitted well for the film. Action scenes are choreographed very well to satisfy mass. Editing is good so is the DI. If you are the type of person to over-analyze plots, scrutinize special effects and whine about some cheesy acting this is definitely not a movie for you. There are a lot of little wires about this movie if you look too hard and over think. If you want to go and see a movie where you can just sit back, relax, and enjoy the mass scenes; then go for this one. Few funny scenes, cool fight scenes, couple of emotional scenes, lot of actors, Nayanthara and Suriya. Overall it is fun stuff. Achcham Yenbadhu Madamaiyada is a one hour musical spectacular from Gautham Menon and AR Rahman.